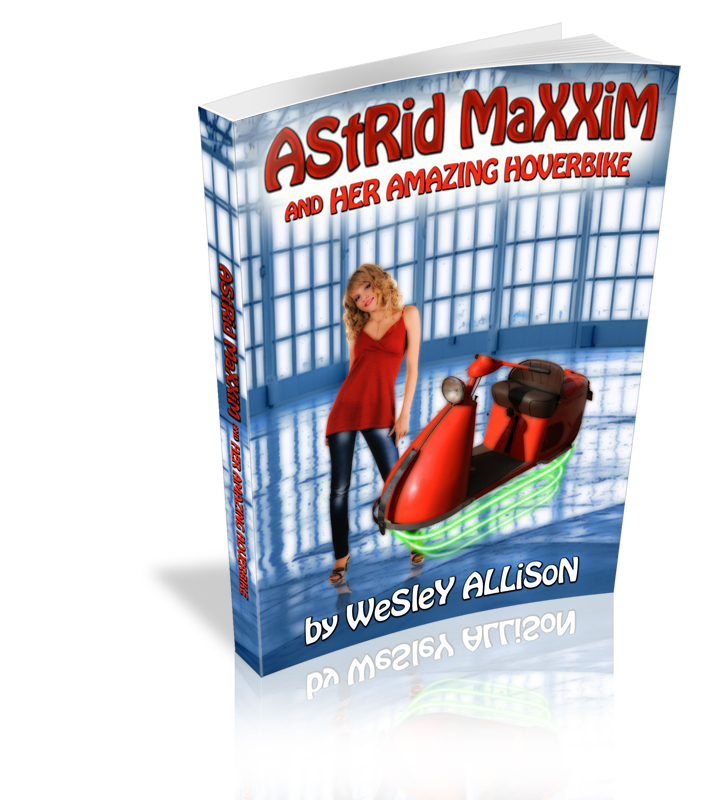 I just approved the 8×10 paperback format for Astrid Maxxim and her Amazing Hoverbike. You can purchase it right here from the blog, and hopefully soon you will find it at Amazon, Barnes and Noble, and other online sellers of paper books. I don’t expect to sell many paperbacks, but I thought it should be available to help the visibility overall. I expect to get paperbacks of all the rest of the books out this summer. I chose 8×10 because it worked best with the cover art and it was different. This is a kid’s book, so I thought it was fine to stand out from my other books. In celebration of Read an Ebook Week, please feel free to pick up your free copy of Astrid Maxxim and her Amazing Hoverbike. You can find it here: http://www.smashwords.com/books/view/102618. Be sure to use coupon code DG97A to get yours for free. I know I’m all over the place lately. I’ve been writing here and there on four different projects and have others that I’ve been thinking about. But, I’m at the halfway point in the draft for Astrid Maxxim 2, and I still think I should finish it some time in March– maybe even before. Astrid hasn’t taken off too much sales-wise, but I put 4 paperback copies of book 1 in the school library where I teach and they have all been checked out constantly for a couple of weeks now. The kids seem to really like it. 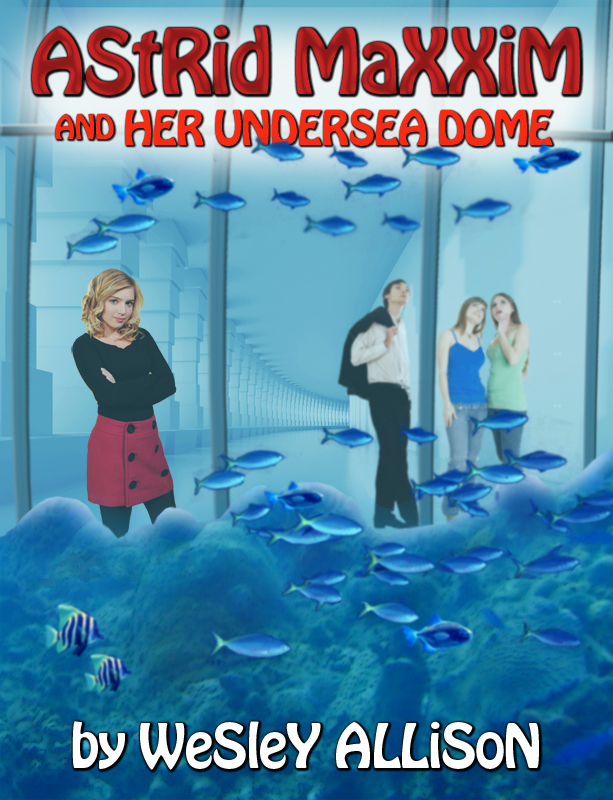 I just finished chapter 8 of Astrid Maxxim and her Undersea Dome, and that means I’m almost halfway done. I’m only working on it intermittently, as I also write The Young Sorceress. It’s amazing how much easier Astrid is to write for me right now. As I’ve said before, I have ideas for about 20 Astrid Maxxim books and plan to write at least two or three a year for a while. On a related note, I’m almost keeping up with my New Years Resolution to write 3 pages a day. I’m only about 26 pages behind. Oh well, maybe I can catch up this summer. I am currently nearing the end of chapter six of Astrid Maxxim 2. I am working on it and The Young Sorceress, which means, when I get stuck in Sorceress, I write for a while in Astrid. Astrid is easy to write and I imagine I will finish it first of the two. There will be 20 chapters in all, so I’m just shy of 1/3 way done of the first draft. “Stop it, Dad,” said Astrid Maxxim as she steered her father’s car. They were parked in Dr. Maxxim’s personal parking space next to the R&D building, a half mile wide, fourteen story structure that dominated the northwest corner of the Maxxim Industries campus. The campus, sprawling across 180,000 acres of the American southwest, featured machine shops, office buildings, factories, power plants, and its own airport. It was here, where for the past forty-two years, thousands of Maxxim products had been developed and produced, making the Maxxim family very wealthy and making the world a better place in which to live. Dr. Roger Maxxim was a tall man whose brown hair was only just beginning to show a touch of grey at his temples. He wore a pair of sturdy glasses, behind which were creases that could more honestly be called laugh lines than wrinkles. Dr. Maxxim’s daughter Astrid was startlingly cute, with shoulder length strawberry blonde hair and very large blue eyes. At five foot five, she was exactly in the middle of her class when they arranged themselves by height for their class picture, which still made her four inches shorter than her mother. Like her father, she wore a white lab coat over her street clothes. “It’s pretty good,” her father agreed. The two Maxxims stepped through the revolving door and into the steel and glass lobby of the building, stopped at the security desk to have their ID badges scanned, and then took the glass elevator up to the fourteenth floor. Directly across from the elevator was the desk of office manager Flora Purcell. As Astrid and her father walked by, she jumped to her feet. “Before you go into your lab, Dr. Maxxim, there’s something you need to know,” she said. Astrid followed her father through the door into his private lab. The twenty thousand square foot workspace was divided into chemical, biological, robotics, and engineering work areas. Just inside the door, in a small lounge that had been created by forming several plush chairs and couches into a semicircle waited a tall blond woman in a sharp black business suit. She held a clipboard to her chest and tapped her foot impatiently. “Your hover disc was a huge waste of time and resources,” the woman said without preamble. “I was hoping that six or eight of them could be harnessed to lift an army tank, or at least a Hum-vee,” she said. “Perhaps we could sell it as a toy?” suggested Dr. Maxxim. “Your research and development costs for the same period were $822 million,” she said. “Sorry,” said Astrid, with a shrug. Astrid left her father and walked down the corridor to her own lab. It was exactly half the size of her father’s but was set up in the same configuration with most of the same equipment. She went right over to the battery test, where her new invention was powering a small motor beneath a series of heat lamps. She pressed her face against the safety class and read the gauges. Two hundred degrees Celsius, far hotter than any place a battery would be used, at least on earth, and her little power cell was still going strong. “Hey, mad scientist!” called a voice behind her. Four kids her age, two boys and two girls, had just entered the lab. Valerie Diaz and Denise Brown were Astrid’s best friends. Denise had long blond hair and green eyes, and was a little on the skinny side, while Valerie was a few inches shorter with beautiful dark hair and brown eyes. Toby Bundersmith had lived next door to Astrid since she was born and was, at least in Astrid’s opinion, everything that could be good about a boy, with a tall muscular body, brown bangs just above his hazel eyes, and a broad smile. Christopher Harris was Toby’s best friend. He was tall, with chocolate brown skin and black hair. He was quiet but had the highest grades of anyone at school, with the exception of Astrid. All four kids had a parent who worked for Maxxim Industries—in Christopher’s case, two parents. “Alright,” said Astrid, and followed her friends out the lab door. I’ve been vascilating over which if any of my books should go to paperback. I don’t really sell any, though I do give some away. On the other hand, my ebooks are starting to sell. Still, I thought of all my books, Astrid Maxxim deserved a paper treatment, as it is aimed at young readers, who might not have access to an ereading device. I chose an unusual format– 8 1/2 x 11 inches, 98 pages. I did this for a couple of reasons- 1) it just works better with the cover illustration, and 2) I wanted it to be different than my other books, since this one is aimed at children. As I write this, the proofs have already shipped and I should have them by the time you read this.